Every year from June to August our weekly themes revolve around a place we’ve visited or a place we’d love to travel. The recipes, playlists, and ideas are all designed to take us near and far from our very own kitchens. Because our tastebuds and imaginations have the power to transport us places—even ones we’ve never been. This year we went to Peru, Italy, Greece, Vietnam, Mumbai, and one of our favorites was D.C., because it’s home to ½ of H&G. The Summer Series: Washington D.C. Eight summers ago, when I moved from Chicago to Washington D.C., my Midwestern big-city heart never expected to fall so hard for the District. 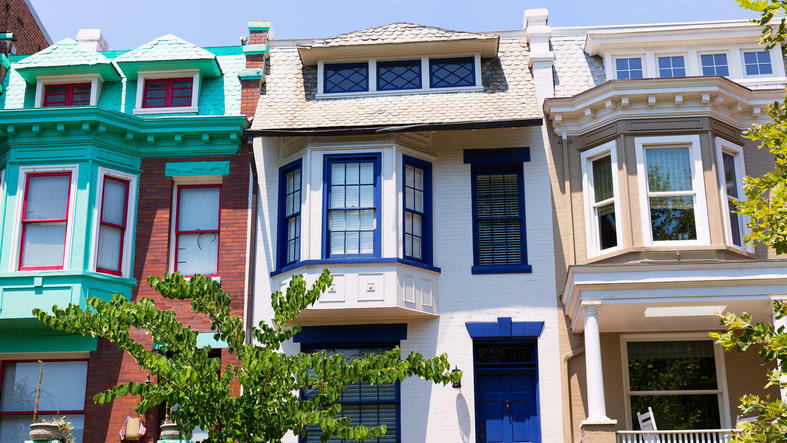 Maybe it was that first walk through Georgetown—you can treat yourself to gelato scoops then stroll past JFK and Jackie O’s former residence and row houses built in 1770-something. Maybe it was the weekly 2Amy’s pizza picnics on the National Cathedral lawn. (Best pizza ever, no contest.) Or maybe it was springtime, ushered in by flurries of blush pink cherry blossoms along the Potomac, straight out of a storybook wonderland. D.C. is undeniably one-of-a-kind. It’s bursting with rich culture and vivid colors—Crayola-hued homes and cobblestone streets lined with blossoming flowers and vines and trees. And people too—they’re from everywhere and land in D.C. for all sorts of interesting reasons—diplomacy, art, business, and politics of course. The East Coast charm is delightful and the massive monuments will leave you in awe (especially if you go see them by moonlight). It’s steeped in early-American and Civil-Rights-era history with a vibrant food scene that gives Brooklyn a run for its money. The good people and the good food ultimately won me over, the usual suspects—especially when combined—that make home feel like home. This week’s recipes are my ode to D.C., inspired by some of the best meals I’ve eaten. The bowl of eggplant pasta I shared with my husband for our anniversary dinner at Rose’s Luxury. Korean tacos at Union Market, fuel for browsing around and shopping at Salt & Sundry. The famed summer squash curry at Sally’s Middle Name on H Street, one of the biggest food-movement proponents in the city. Chicken Paillard at Le Diplomate on 14th, which is basically like a mini trip to Paris. A seasonal pizza selection from 2Amy’s—their sweet pepper + parsley + sausage + fontina pizza only shows up on the menu once a year in the summer and I can’t get enough. Then finally, the spot where we’d get our Sunday morning pastry + coffee fix has the best scones in the city—blackberry lavender scones at The Wydown. For summertime Friday (it’s-finally-the-weekend) DC vibes, pack a picnic and head to the National Mall for Jazz (playlist!) in the Sculpture Garden. Or make a big pitcher of Sangria Verde and pretend like you’re relaxing in Columbia Room’s Punch Garden with friends. Have a wonderful week!